Something that I cannot leave without. 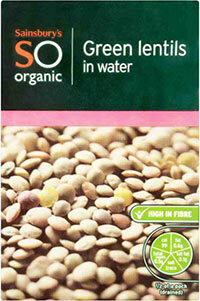 These are essential, packed with minerals and good fats you will want to make sure you don’t leave without them. Buy walnuts, pistachio nuts, almonds and any other nuts you like and make mix out of them, just don’t get the salty ones as you don’t need that extra salt in your diet. 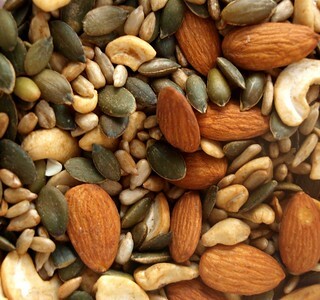 From seeds, choose pumpkin seeds and sunflower seeds, rich in zinc which is great for immune system. You can add these to porridge/muesli or salads. You can also use them to make trail mix which would be great as a snack or for energy when hiking. 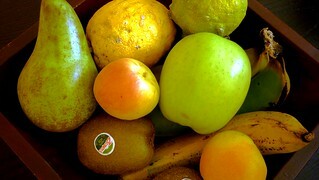 Choose fruits which can last longer than a few days, such as apples, pears, oranges, melon, etc. and pack bananas as well but use these first before they become too ripe. Include lemons as well for that warm water with lemon in the morning but also for adding to meals when needed. 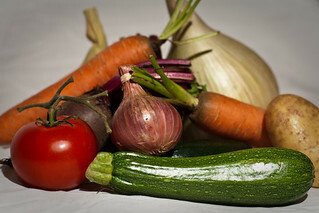 Pack vegetables that won’t spoil that quickly such as carrots, cucumbers, courgettes, onions and garlic. Get some tomatoes too for use in salads and sandwiches in the beginning of your camping trip. You could also take potatoes/sweet potatoes with you to make a mash or just grill them on the camping fire. Chickpeas are so versatile and taking a stack of cartons of chickpeas would be quite a good idea actually. 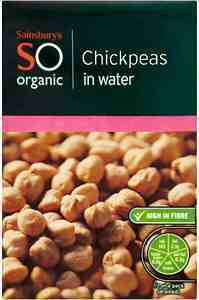 I use Sainsbury’s Chick Peas So Organic which come in a carton and I think they are better than canned chickpeas. You could make a quick soup or a stew out of them by adding onions, garlic, courgettes or any other vegetables you have available. You can also make cold chickpeas salad for those hot summer days or add them to other foods such as rice, couscous or bulgur wheat for that extra protein boost. Another must have for vegetarian meals. You could bring dry green or brown lentils which take 25 minutes to cook or bring cartons of cooked lentils available from your local wholefoods store or supermarket. You can make a quick lentil soup out of them or eat them in a salad. 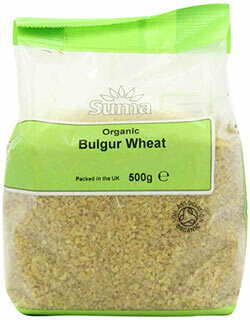 Bulgur wheat doesn’t require cooking – just add boiling water to it and leave for 30 minutes. 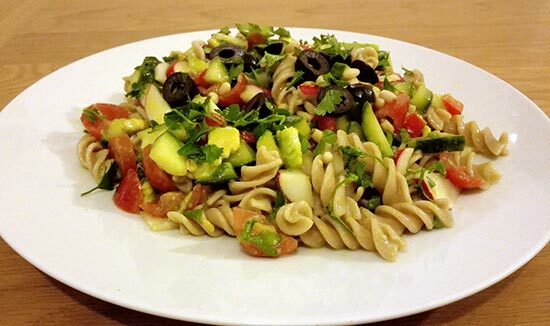 Add chopped tomatoes, cucumber, red onions, garlic and chickpeas for a healthy dinner at the end of the day. Don’t forget lemon, olive oil and any suitable herbs. Muesli is a great energy food and my favourite brand for museli is Dorset Cereals. Just add almond or coconut milk and some fruits on top and enjoy this nutritious and filling breakfast. Eggs can be a great breakfast too. Boiled, fried, scrambled or in a omelette (with tomatoes), choice is yours! Eat wholegrain bread for that extra fibre which will help you feel fuller for longer. 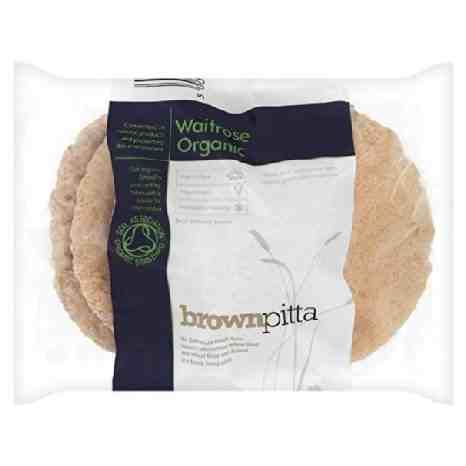 Pitta bread or wraps are essential for sandwiches and they don’t have to be stored in a fridge and unopened packs don’t get spoiled before their use by date. 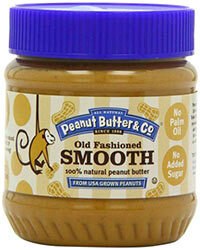 Great for making egg or nut butter sandwiches. Packed with protein and minerals, all-natural nut butter will make a great choice for breakfast or lunch. On top of all the foods mentioned above you could also take wholewheat pasta, natural yoghurt pots (to be kept in a cooler) which should be used within a few days and Nakd bars for an energy snack when you need it (I love these bars!). I admit, I am not a big fan of camping as I like my comfort too much and then there is this question in my head: ‘What are we going to eat?’ In the past I ended up eating all kind of unhealthy foods, but now that I have made this list I won’t worry about it too much! Healthy meal ideas for camping are already all here, I just need to go shopping! And for one night or two I can handle sleeping in a tent, just to enjoy nature and switch off from everyday life. What healthy foods would you take with you if you went camping? Thanks Laura. Sounds like a good breakfast, perfect for camping and no cooking required! Definitely need to keep this in mind when I go camping next time. I am glad you liked the post! I am definitely going to give the overnight oats a try and see whether I like them more than muesli.